Everything you need to build, host and manage a website is available at just 0.94/mo. One free Domain (.com/.co.uk/.uk/.me.uk/.org.uk) with purchase of every new Value and Unlimited plan for 1/2/3 years. Domain will be free till the web hosting plan remains in active status. We provide you all the best web hosting features in UK that others are missing. Lifetime Free DomainBuy Value or Unlimited hosting plan for minimum one year and get any one domain name (.CO.UK/.UK/.ORG.UK/.ME.UK/.COM) free of cost. The domain name will be free till the time your hosting account remains active with us. Free SSL CertificateWe provide free SSL certificate with every cheap web hosting UK plan. SSL secures your website and improves your website ranking. In the web browser, a green padlock and https protocol will be visible. 1-Click InstallerAt a few clicks you can install apps like WordPress, Joomla, Drupal and over 400 such apps using Softaculous 1-click installer. It's integrated into cPanel control panel offered with our cheap web hosting UK plans. Latest PHP & MySQLWe have latest and stable version of PHP and MySQL installed on our linux shared hosting servers in UK. Talk to our web hosting solution experts for detailed info on our web hosting UK service. We're available 24/7. 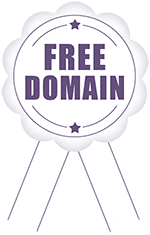 We provide one (.CO.UK/.UK/.ORG.UK/.ME.UK/.COM) domain name free for lifetime with our Value and Unlimited web hosting plan. To avail the free domain client must order the Value or Unlimited hosting package for minimum one year. Client can either register a new domain or transfer an existing domain to MilesWeb. Client must add the free domain to the shopping cart before making the payment for the web hosting plan. Choose our cheap web hosting UK plans and book your free domain now! We provide unlimited disk space and unlimited bandwidth with our shared hosting plans. Our aim is to empower the website owners by offering them flexible and scalable web hosting solutions in UK with no disk space and bandwidth limits. Choose our unlimited cheap web hosting UK plans to launch your website.